This article is taken from The Practical Calvinist: An Introduction to the Presbyterian and Reformed Heritage (ISBN 1-85792-814-8) ed. Peter A. Lillback, pp. 415-24, which is published in the Mentor imprint of Christian Focus Publications (www.christianfocus.com) and is used with their kind permission. The juxtaposition of dispensationalism with presbyterian or congregationalist roots might seem all the more strange if we travel back to earlier stages in presbyterian and dispensationalist history. Presbyterianism received its definitive formulation in the seventeenth century in the Westminster Confession of Faith and the Westminster Larger and Shorter Catechisms. Dispensationalism arose in the nineteenth century primarily through John Nelson Darby (1800-1882) and the Plymouth Brethren. The defining stages of the two positions displayed deep differences. The Westminster Standards emphasized the unity of Old and New Testament revelation under the overall structure of the covenant of grace. Darby, by contrast, distinguished sharply between the Old Testament and the New. 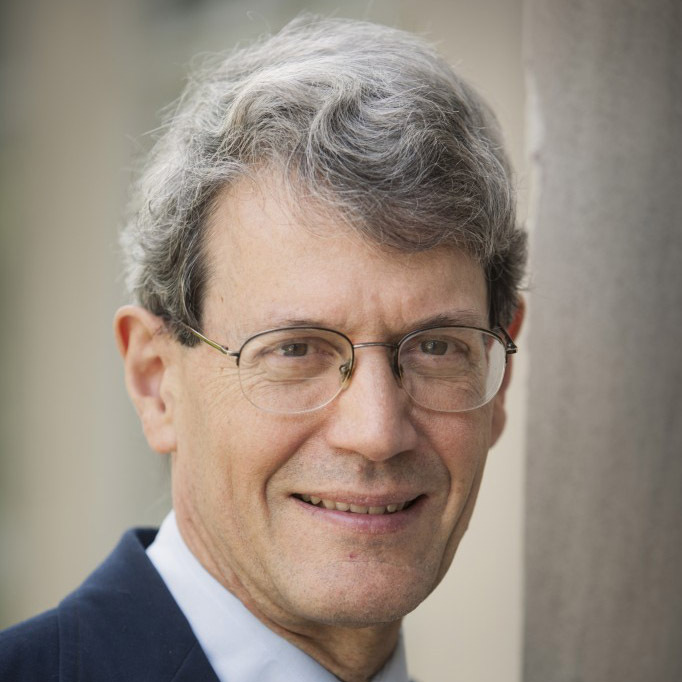 According to his view, the Old Testament focuses on law and the earthly destiny for Israel, while the New Testament focuses on grace and the heavenly destiny of the church. Darby’s view of the church differed from Westminster presbyterianism not only in his strict separation of the New Testament church from Old Testament Israel, but in its stance toward “Christendom.” Darby was a “restorationist,” who thought that the past history of the church represented such a mass of corruption and degeneration that the church had to be refounded by the Plymouth Brethren, who alone really met in Christ’s name.3Presbyterian thinking, by contract, recognized substantial continuity with the church throughout the ages, along with the need for reform. 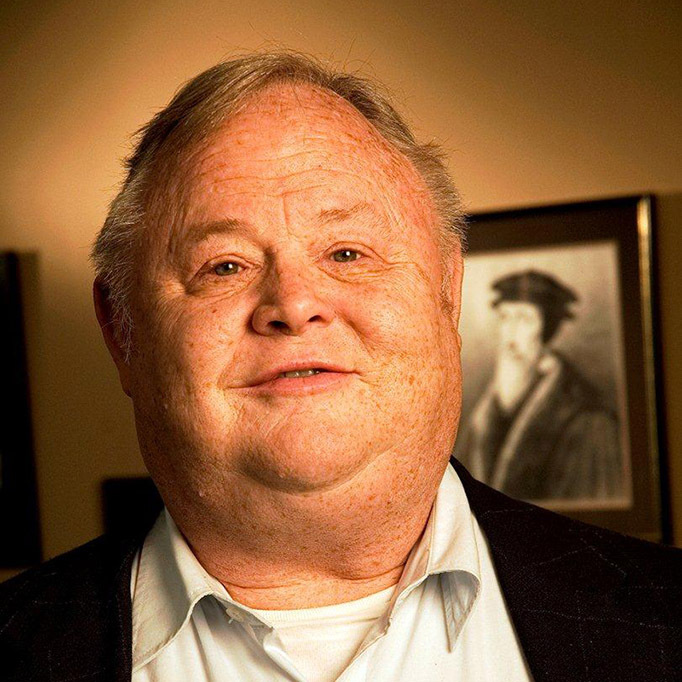 Darby believed in independency in church government, while the presbyterians saw a biblical basis for wider expressions of church unity in the form of presbyterian government. In sum, Darby and his followers among the Plymouth Brethren differed sharply from presbyterians on a number of matters, but preeminently in their interpretation of the relation of law to grace and old covenant to new. American dispensationalists did accept Darby’s sharp distinction between Israel and the church, but the teaching on the last things (eschatology) rather than the teaching on the church (ecclesiology) was the main point of emphasis and interest. The focus on the last things in American dispensationalism meant that possible conflicts with presbyterianism remained more in the background. Historic presbyterianism—and Reformed theology more broadly—has never committed itself creedally to details of the millennium or the idea of an any-moment coming. For the most part, the Reformed creeds confine themselves to general statements about the last judgment and the resurrection, such as Christians throughout the centuries have believed. A. We are to believe, that at the last day there shall be a general resurrection of the dead, both of the just and unjust: when they that are then found alive shall in a moment be changed; and the self-same bodies of the dead which were laid in the grave, being then again united to their souls for ever, shall be raised up by the power of Christ. The bodies of the just, by the Spirit of Christ, and by virtue of his resurrection as their head, shall be raised in power, spiritual, incorruptible, and made like to his glorious body; and the bodies of the wicked shall be raised up in dishonour by him, as an offended judge. Question 87 is framed as a question about “the resurrection,” not several distinct resurrections. In the Catechism’s answer, the language about “the last day” and “a general resurrection” seems to imply one day of judgment, not several. By contrast, dispensationalists postulate at least three judgments and three resurrections, one for church-age believers at the Rapture, one for the nations at the visible Second Coming of Christ, and still a third at the end of the millennium. The first of these judgments includes bodily resurrection for Christian believers, but no bodily resurrection for the wicked until the visible Second Coming. But does the Catechism answer actually exclude premillennialism? If we allow a slight stretch in interpretation, the Catechism answer might be interpreted as describing the general resurrection at the end of the millennium. Dispensationalists and other premillennialists could agree with such a description of the very last resurrection. They would only introduce the further explanation that they still believe in an additional resurrection before the beginning of the millennium. A. At the day of judgment, the righteous, being caught up to Christ in the clouds, shall be set on his right hand, and there openly acknowledged and acquitted, shall join with him in the judging of reprobate angels and men, and shall be received into heaven, where they shall be fully and for ever freed from all sin and misery; filled with inconceivable joys, made perfectly holy and happy both in body and soul, in the company of innumerable saints and holy angels, but especially in the immediate vision and fruition of God the Father, of our Lord Jesus Christ, and of the Holy Spirit, to all eternity. And this is the perfect and full communion, which the members of the invisible church shall enjoy with Christ in glory, at the resurrection and day of judgment. The expression “being caught up to Christ in the clouds,” together with the footnoted prooftext from 1 Thessalonians 4:17, indicates that church-age believers are in view, not subsequent believers during the millennium. “The day of judgment,” in the light of the immediately preceding questions, must refer to “the general and final judgment of angels and men” (Answer 88), not to a judgment at a time before the beginning of the millennium. Taken together, the answers to Questions 87-90 force us to dissolve the distinction between an earlier judgment for the church and a later one for millennial believers. The Catechism is clearly thinking in amillennial terms. Yet technically there still remains a way to escape an amillennial conclusion. Generally speaking, the footnotes that supply Scripture proofs have not been considered to be part of the standards to which ministers subscribe, but only illustrative support to the standards. Thus, a dispensationalist might reject the prooftext from 1 Thessalonians 4:17 as inapplicable, and still say that Answer 90 accurately describes the judgment at the end of the millennium. Yet this leaves the Catechism in a position where it says nothing about the resurrection and judgment that will take place for Christians in the church age. The practical design of the Catechism demands that it say something practical about the hope that we have as Christians. Thus, an interpretation that shifts Questions 87-90 to another time period (the time 1000 years after the Second Coming) is not historically plausible. Thus, it is difficult to square the detailed language of the Catechism with either dispensationalism or historical premillennialism. Yet in practice presbyterians have usually considered the millennial issue to be debatable, and premillennialists have been numbered within the bounds of presbyterian belief. Why so? Millennial differences have seemed to many Reformed people to be minor differences, not touching on main points of doctrine.6Moreover, Reformed people with a sense of the historical roots of the church recognize that premillennialism is an ancient belief, dating back at least to Justin Martyr in the second century. In fact, the issue of last things was not a central focus for presbyterianism. Presbyterianism stems from the Reformation and from English and Scottish Puritanism, both of which were fighting primarily for the doctrine of salvation, in opposition to Roman Catholic and other views that compromised the sovereignty of God’s grace and the certainty of salvation based on Christ’s work alone. Thus the Reformed creeds in general and the Westminster Standards in particular devote much space to discussion of issues of salvation. Hence, when the Larger Catechism treats the doctrine of last things, as it does in Questions 87-90, it still discusses the issue largely from the perspective of the salvation or damnation of individuals. The main point of the Catechism is not to decide the millennial debates in the abstract, but to talk about the final destiny of believers and unbelievers. According to Question 90, the “righteous … shall be … openly acknowledged and acquited,” as the culmination and confirmation of the earlier act of justification. They shall be “for ever freed from all sin and misery,” which constitutes a reversal of the “estate of sin and misery” into which the fall of Adam brought mankind (Question 23). They shall be “made perfectly holy,” which is the completion of their sanctification. The last things are enumerated primarily so that believers may see that God completes the work that he has begun in them. The last things mentioned in Question 90 correspond to earlier points that the Catechism has made about the fall and about redemption from sin. In short, the Larger Catechism is thinking in practical, pastoral terms. It recites teachings about the last things in order to comfort believers and warn unbelievers. Salvation here and now means something not only because of its present effects, but because it issues in eternal bliss. Conversely, not to be saved results in eternal damnation. Thus, all human beings must in this life consider the issues of salvation and damnation with full awareness of the weight of the consequences. Almost all dispensationalists would agree heartily with these basically pastoral concerns of the Catechism, even though they would have to differ with respect to the details. We must not overlook the details, but neither must we exaggerate their importance in the scheme of the Westminster Standards. The differences over the last things do not by themselves touch on the heart of presbyterianism. And indeed there is a danger. At times some dispensationalists, in their zeal to distinguish grace from law, used language that suggested there might be different ways of salvation offered for different dispensations. For example, the Scofield Reference Bible , in its note on 1 John 3:7, says baldly, “The righteous man under law became righteous by doing righteously; under grace he does righteously because he has been made righteous (Rom. 3.22; Rom. 10.3, note).” Commenting on the petition in the Lord’s Prayer to “forgive us our debts,” the Scofield Reference Bible states, “This is legal ground. Cf. Eph. 4.32, which is grace. Under law forgiveness is conditioned upon a like spirit in us; under grace we are forgiven for Christ’s sake, and exhorted to forgive because we have been forgiven. See Mt. 18.32; 26:28, note.” We hope that Scofield did not intend it, but it sounds as if the Israelites under Moses were saved by works, whereas now the church is saved by grace. That is, the “covenantism” of the Westminster Standards is diametrically opposed to “dispensationalism.” This judgment is accurate, if what we mean by “dispensationalism” includes the suggestion of different ways of salvation or a pronounced antinomianism that dispenses with any requirement of obedience for New Testament Christians. But over time, biblical sanity wins out over the zeal for sharp distinctions or the attraction of one-sided formulations. The idea of more than one way of salvation retreats as people observe Christ’s central role in salvation throughout the Bible. The warnings in the New Testament against Christian disobedience–from James 2, from 1 John, and even from Galatians 5-6–are too obvious to allow Bible students to remain comfortable for long with virulent antinomianism in their own thinking. Christians must admit that requiring obedience belongs to New Testament Christianity, not exclusively to the Old Testament. Moreover, the pastoral dangers of antinomianism soon become evident in people’s lives, and pastors begin instinctively to recognize that their words are being applied in an unhealthy way. If, then, in the course of time these excesses of dispensationalism disappear, what is left? We still have a zeal from distinguishing grace from law. But if it is no longer coupled with antinomianism, how much does it differ in its overall function from the distinction between grace and works that the Reformation discovered in its fight for the sovereignty of God’s grace in salvation? How much does it differ from the distinction as embodied in the Westminster Standards, between the covenant of works and the covenant of grace? In this formulation the primary interest is still in the unity of the covenant of grace. The Confession wants to make sure that we see this unity under the two different “administrations” or external forms of the two times. But why this focus on unity? Precisely because the Confession is interested in articulating the one way of salvation. Faith in Christ to come, and operation of the Spirit resting on his coming work, are “sufficient and efficacious” for the elect, that is, sufficient to provide forgiveness and secure eternal salvation. If dispensationalists focus on this one issue of the way of salvation, they too must end up saying what the Confession says. There is only one way. Leading dispensationalists today acknowledge this much. But then they choose to focus primarily on other issues, relating to the differences in concrete expression and form that piety takes in the different redemptive epochs. Within Reformed tradition, the developments in biblical theology stemming from Geerhardus Vos have resulted in an analogous interest in differences.12 On the Reformed side people articulate more overtly differences among redemptive epochs. On the dispensationalist side, people recognize the importance of articulating the one way of salvation. Especially among “progressive dispensationalists” we find willingness to affirm continuities between different dispensations and preliminary prophetic fulfillment in the church.13 These affirmations bring us into a situation where differences remain, but the differences look more minor and less antagonistic than they did in the days of mutual denunciation. 1 J. D. Douglas, ed., New 20th-Century Encyclopedia of Religious Knowledge (2d. ed. ; Grand Rapids: Baker, 1991), 160. 3 John N. Darby, Writings 20:240-41; Clarence B. Bass, Backgrounds to Dispensationalism: Its Historical Genesis and Ecclesiastical Implications (Grand Rapids: Eerdmans, 1960), 106-9. See also Vern S. Poythress, Understanding Dispensationalists (2d ed. ; Phillipsburg, NJ: Presbyterian and Reformed, 1994), 7-38. 4 Daniel P. Fuller, “The Hermeneutics of Dispensationalism,” Th.D. dissertation, Northern Baptist Theological Seminary, Chicago, 1957, pp. 92-93, quoted in Poythress, Understanding Dispensationalists , 19. 5 For a discussion of the variant millennial views, see Loraine Boettner, The Millennium (Philadelphia: Presbyterian and Reformed, 1957); Robert G. Clouse, The Meaning of the Millennium: Four Views (Downers Grove, IL: InterVarsity, 1977); Millard J. Erickson, Contemporary Options in Eschatology: A Study of the Millennium (Grand Rapids: Baker, 1977); Stanley Grenz, The Millennial Maze: Sorting Out Evangelical Options (Downers Grove, IL: InterVarsity, 1992). It is true, the Westminster Confession of Faith and Catechisms teach not the Premillennial view but a view that is opposed to the Premillennial view. That is particularly plain in the Larger Catechism (Q. 87 and 88). The real question, then, is whether a person who holds the Premillennial view can hold that system. 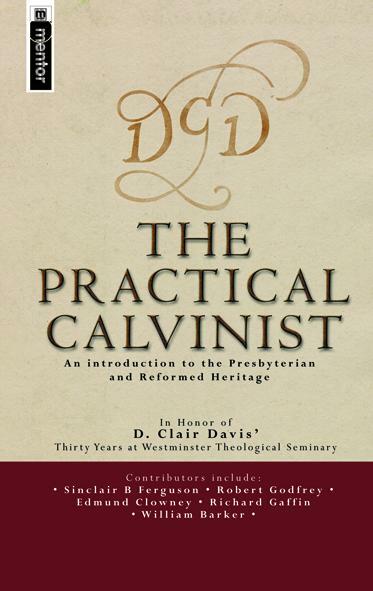 Can a person who holds the Premillennial view be a true Calvinist; can he, in other words, hold truly to the Calvinistic or Reformed system of doctrine which is set forth in the Westminster Standards? We think that he can; and for that reasons we think that Premillennialists as well as those who hold the opposing view may become ministers or elders or deacons in The Presbyterian Church of America (“Premillennialism,” The Presbyterian Guardian 3/2 [October 24, 1936]: 21; this, the lead article, is unsigned; J. Gresham Machen and Ned B. Stonehouse were editors at the time, so the article comes from one or both of them. My thanks are due to Dr. William Barker for alerting me to this quotation in his unpublished paper, “System Subscription,” 5-15-2000). 7 See especially the classic formulation by Lewis Sperry Chafer, “Dispensationalism,” Bibliotheca Sacra 93 (1936): 390-449. 8 See Poythress, Understanding Dispensationalists , 30-33. 9 John N. Darby, “Presbyterianism,” Collected Writings 14:528, quoted in O. T. Allis, Prophecy and the Church (Philadelphia: Presbyterian and Reformed, 1969), 47-48. 10 O. T. Allis, Prophecy , 296n59, quoted from Minutes , pp. 123-24. 11 Westminster Confession of Faith 7.5. 12 See, e.g., my discussion in Understanding Dispensationalists , 39-51. 13 For ongoing developments, especially in “progressive dispensationalism,” see especially Craig A. Blaising and Darrell L. Bock, eds., Dispensationalism, Israel, and the Church (Grand Rapids: Zondervan, 1992); Craig A. Blaising and Darrell L. Bock, eds., Progressive Dispensationalism: An Up-to-Date Handbook of Contemporary Dispensational Thought (Wheaton, IL: Victor, 1993); W. R. Willis and J. R. Master, eds., Issues in Dispensationalism (Chicago: Moody, 1994); Herbert W. Bateman, IV, Three Central Issues in Contemporary Dispensationalism: A Comparison of Traditional and Progressive Views (Grand Rapids: Kregel, 1999); and the bibliography in the last of these.